Hayden Wren is listing 941 Decatur St., an architecturally-pleasing (2) story facility that contains a total space of approximately 5,000 square feet of gross building area for sale. The property is located at the southwest corner of Decatur and St. Philip Streets directly across the street from the historic French Market. 941 Decatur is located in Square 21 of the Second Municipal District and has bounding streets of Dumaine, Chartres and St. Philip. The property was designed in 1922 by local architects Favrot and Livaudais for the French Market Bank. The building is exemplary of Greek Revival architecture that features iconic columns, pilasters, and egg-and-dart decorative moldings. The building has had many tenant occupants over its life time. Currently, 941 Decatur is occupied by Cajun Encounters Tour Company. 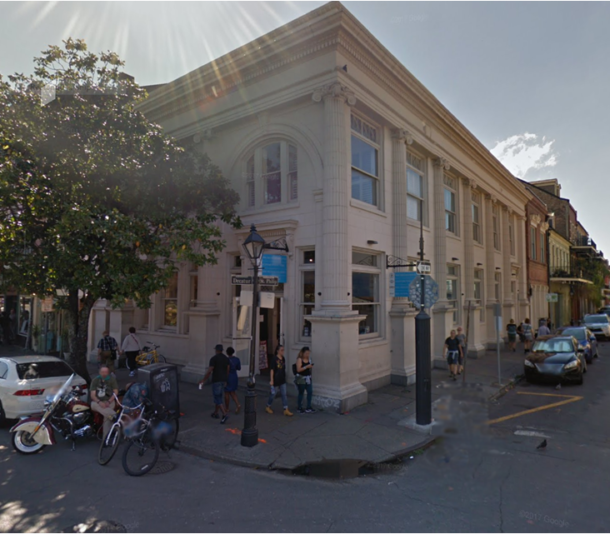 Cajun Encounters has been a tenant in the building for approximately six (6) years. There is no official marketing prices. Offers will be due March 30, 2018 at 2:00 pm CST. For further information, please contact Hayden at 504.581.5005.